Choose your "Payment Method", then click "Check box & enter code:", then click "Confirm & Checkout". REMINDER: you do not need a PayPal account to pay online – PayPal processes credit card payments for PCGS through their secure site which in turn gives PCGS, and you, peace of mind that payments are handled correctly, securely, and in a timely manner. We allow a 45 day grace period for expired memberships, but do appreciate on-time renewals. Remember, memberships are yearly, and expire on your anniversary date. Monthly meetings featuring guest lecturers presenting genealogy and family history topics. Our quarterly newsletter The PCGS Researcher. Discounted pricing for Special Events. Access to the "Members Only" section on our website featuring PCGS publications, access to Member Forums, and society documents. Topical Special Interest Groups (SIGs) designed to help members with their genealogy research and education. Volunteer opportunities. Many of our members volunteer their time to PCGS, helping our society to promote genealogy and family history research locally, nationally, and internationally. They also participate in special research projects such as compiling family histories of the soldiers and settlers of the Tucson Presido during the Spanish colonial period and the Mexican territorial period. ​As a PCGS member, you can also benefit from our membership in the Federation of Genealogical Societies (FGS). FGS has partnered with Dell to provide discounts on products sold through the Dell website to FGS member societies' members, their families, and their friends. In addition, FGS sponsors the Findmypast Society Membership program, which offers our members a discount to a 12-month world subscription to findmypast.com equal to the value of their individual membership dues. For details on this, contact us at info@azpimagensoc.org. If you prefer renewing your membership by regular mail, print out the renewal form by clicking HERE, complete the form and mail it along with your check to PCGS. Remember, memberships are yearly, and expire on your anniversary date. 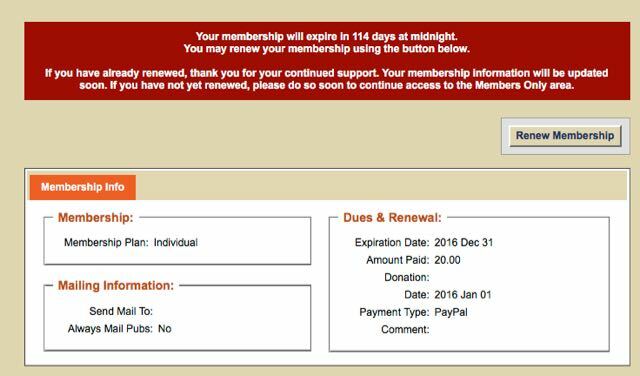 We allow a 45 day grace period for expired memberships, but do appreciate on-time renewals.